This Pack Includes 64 Royalty Free Top Quality Presets for Trap, Glitch, Electro, and Dirty South type Trap. Everything from 808 Subs, Kicks, to Leads, Electro Basses, Arps, Plucks. 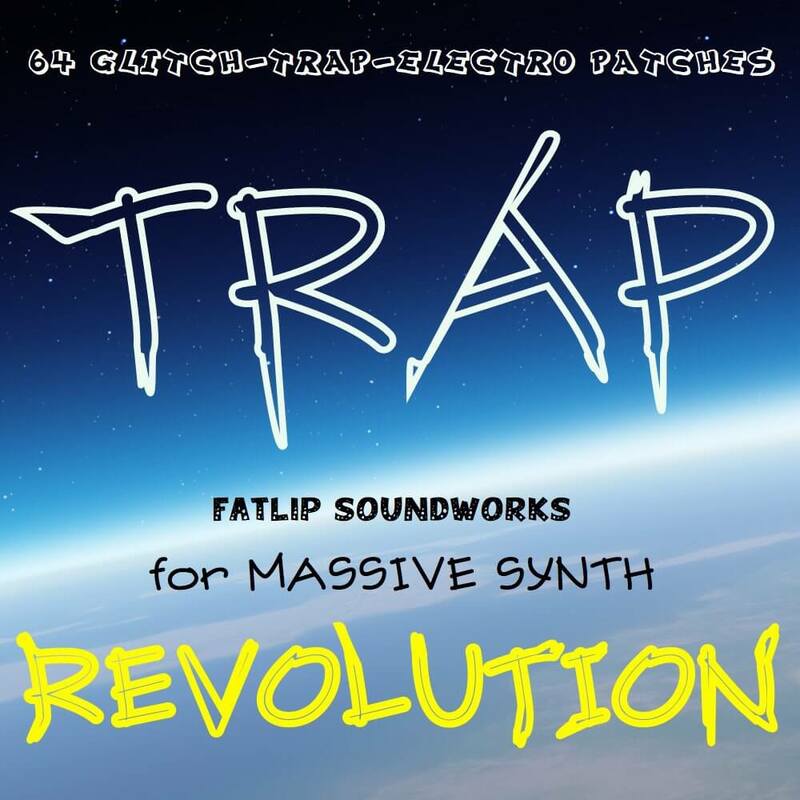 Sequenced Trap Type Keys With Kill Arp feature. There are also Macros that can drop octaves, kill arps, and completely morph the sound to something completely original for your own productions. These sounds are designed By Buddy Peterson of Fatlip Soundworks. His styles go across the board, not really fitting into a certian genre. He has made all styles for many different synths. These sounds were inspired by Artists such as Luminox, Glitch Mob, Flosstradamus, Nicky Romero, Skrillex, Knife Party, PantyRaid, Dillon Francis, UZ, And many more. Also a lil bit of Dirty South style for that remix you always wanted to make. Nice deep subs for the low frequencies.